The first person shooter is called “Esquadao Zumbi” (The Zombie Squadron) and will feature the urban violence of Sao Paulo, one of the most chaotic cities in the world. As in Counter-Strike, the player will be able to choose the different factions of the “organized crime” or the police department of the Brazilian city. Edward Silva, who is responsible for the development of the game, said that he wanted a first person shooter that would reflect the Brazilian reality. Throughout the game players will face drug dealers, prison rebellions and the like. Silva also mentioned that the game will focus on team play and collaboration, as opposed to most of the current hack-and-slash first person shooters. Notice that the game is not a mod for Counter-Strike, but it is being developed from scratch. 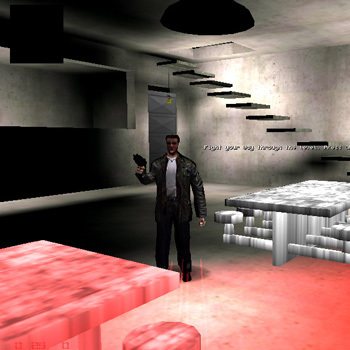 The 3D engine comes from the German house 3DGame Studio. The interesting part is that Silva started creating “Zombie Squadron” while using a free trial period of the game development software. Once the company saw the progress it decided to sponsor the project. Now he is looking for national and international partners to distribute the game. Once released users will probably be able to download the game over the Internet, and the license will cost around 10 dollars. Where does the name come from, you might be wondering? Edward Silva argues that people who live in those environments are virtually half-dead, hence “The Zombie Squadron”. For more screenshots you can check the official site. Unfortunately it does not feature an English version yet.